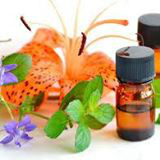 Essential oils are natural aromoatic compounds found in the seeds, bark, stem, roots, flowers and other parts of plants. They can be both beautifully and powerfully fragrant. If you have ever enjoyed the gift of a rose a walk by a field of lavender, or the smell of freshly cut mint, you have experienced the aromatic qualities of essential oils. Essential oils can lift the mood, calm the senses, and elicit powerful emotional responses. Yet the use of essential oils goes well beyond their fragrant appeal. They have been used throughout history in many cutures for their medicinal and therapeutic benefits. Modern trends toward more holistic approaches to self care and growing scientific validatiom of alternative health benefitrs of essential oils. Many have powerfu cleansing properties. Their unique chemical structure allows them to pass directly through theskin for immediate systemic response to topical aplicationl Certain oils may be used as dietary aids to promote vitality and well-being. I think you'll find this article about Rosemany Oil very interesting and useful. If you would like more information about "doTerra" Essential Oils, you can contact me at www.mydoterra.com/gerigrad. I'll be happy to tell you more about 'doTerra' and the essential oils. Read on about the wonderful Rosemary Oil..
Rosemary oil has been extensively used and studied since ancient times for a variety of health benefits. Today, it is included in many medicinal preparations, with many potential offerings. The versatility of rosemary essential oil makes is so widely used in aromatherapy as an aroma in many combinations. Valued since the ancient times as an invigorating and healing essential oil, rosemary oil has a myriad of aromatherapeutic uses, including pain relief, hair and skin health and may even help respiratory ailments. It's also edible - a rosemary oil infusion works great as a mild yet delicious salad dressing. Used with 50:50 dilution, rosemary oil can be applied on ankles and wrists (two to four drops), applied to chakras or vitaflex points, directly inhaled, diffused, or as an dietary supplement. 1. Indigestion – Rosemary oil is often used for this relieving flatulence, stomach cramps, constipation, and bloating. The essential oil is also deemed helpful in stimulating appetite. 2. Stress relief – Aside from its aromatheraupeutic benefits, rosemary oil is seen to decrease the level of cortisol, one of the hormones released during the body's flight-or-flight response to stress, in the saliva. According to the 2007 study,9 inhaling rosemary and lavender oils for five minutes significantly reduced cortisol levels in the subjects' saliva, potentially decreasing the dangers of chronic stress. 4. Immune system boost – The same 2007 study that found reduced cortisol levels after simultaneous massage and inhalation of rosemary essential oil found that the free radical-scavenging activity in the subjects' bodies also significantly increased. 5. Respiratory problems – The scent of the oil has been shown to provide relief from throat congestion, and in treating respiratory allergies, colds, sore throat, and the flu. Using this essential oil seems to benefit brain health, too. A 2003 study published in the International Journal of Neuroscience,13 which involved 144 volunteers, found that rosemary oil helped improve mood in healthy adults. There is also a positive effect proposed for Alzheimer's patients – a small study in 200914 found that one month of aromatherapy involving rosemary, lemon, lavender, and orange essential oils helped enhanced cognitive function, especially in Alzheimer's patients. very interesting, i did not know you were using the oils, what would i use for my diverticulitis? could help me and heal me? ?